With kids heading back to school, Salt Lake City parents will once again be packing lunches for them. Which makes it the perfect time for SLCgreen to share our tips for a healthy and waste-free packed lunched! ChooseMyPlate.gov has a lot of helpful advice on food groups, including suggestions on variety and tips to help you (and your kids) eat more fruits and vegetables. Check out the fantastic 2013 Healthy Lunchtime Challenge Cookbook containing 54 winning recipes from America’s junior chefs (PDF). Did you know that the average meal travels 1500 miles to reach your plate? Local food travels shorter distances and therefore has a lower environmental impact. Consider sourcing your ingredients from local producers – Farmers Markets are a great place to start. Pinterest is full of ideas for creative & healthy bento box lunches. Let’s compare the cost of a reusable lunch versus one that uses disposable goods. Learn more from WasteFreeLunches.org. With a waste free lunch, you can save $246.60 per person per year! Our friends at Earth Goods General Store have all the supplies you need to gear up for your reusable lunch. Their store has moved to a new location on 327 E 300 South in downtown Salt Lake City. You can also find them on Facebook. Glass, plastic or metal bento box-type containers in a variety of sizes for veggies, dips, etc. 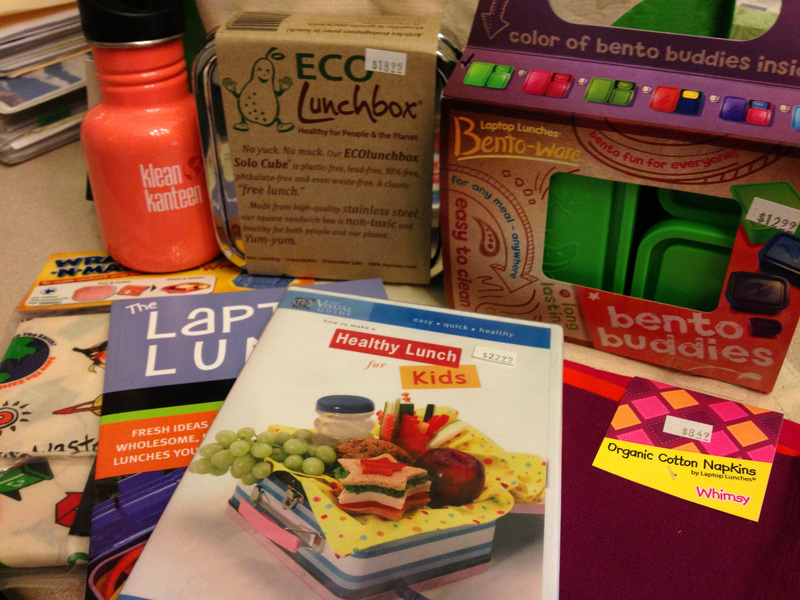 You can even pick up a book or two full of healthy lunch ideas! Green gear from Earth Goods General Store. Reusable lunch storage containers is a really good idea to avoid waste and save money.